Abraham Lincoln didn't chop down a cherry tree, defeat the Nazis, give the Emancipation Proclamation and slay a whole mess of vampires just for folks to wear sleeves. It's time for this country to abolish sleevery. 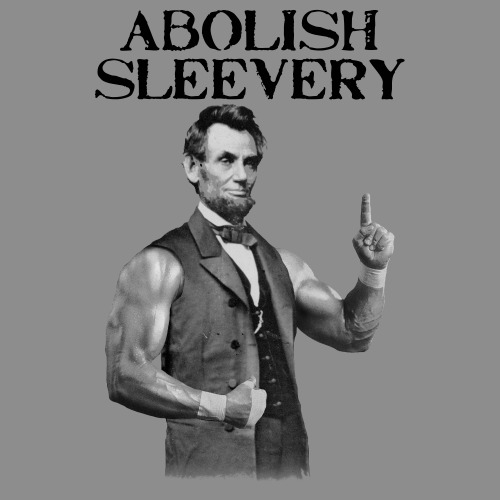 Bust a flex and fight sleevery one day at a time with the Cloyd Rivers "Abolish Sleevery" tank top. Sun's out, guns out. Merica.